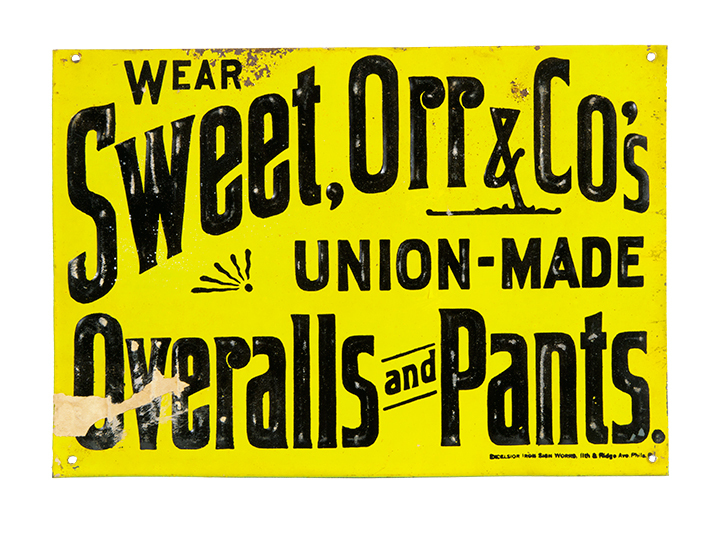 Very early embossed tin litho sign for Sweet, Orr & Co.’s Union Made Overalls. 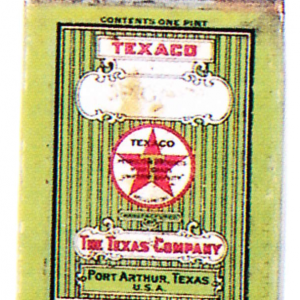 SKU: AA1-134. 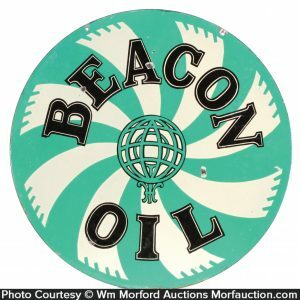 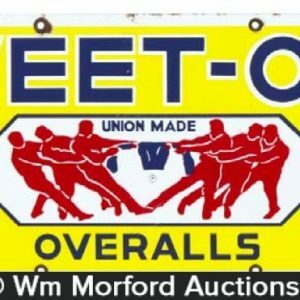 Category: Antique Signs. 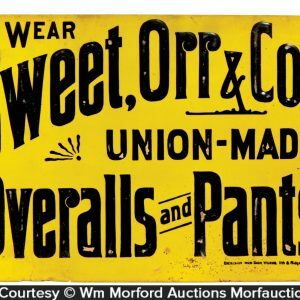 Company/Brand: Sweet Orr & Co., Sweet-Orr Overalls. 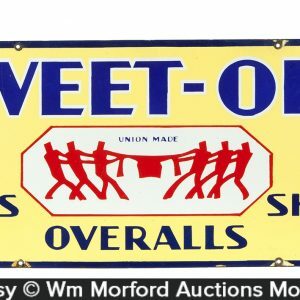 Sweet Orr Overalls Sign: Very early embossed tin litho sign for Sweet, Orr & Co.’s Union Made Overalls. 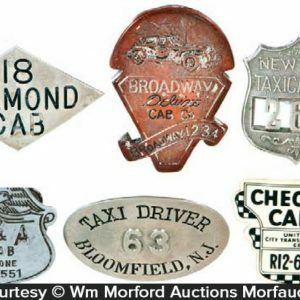 Sign has a little light chipping, oxidizing and light soiling, but overall is attractive, as found never used, still w/ traces of original protective paper (C. 7.5+/8-). 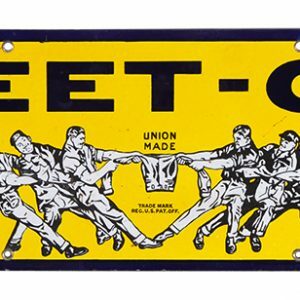 Should improve some w/ cleaning.